Whimsical pops of blue and green from the vintage lights. Historic downtown Savannah is a short walk away. Sprawl out on this suede couch for a movie night! Desk area nestled by the window for inspiration. The wide flat screen television will make watching your favorite sporting events come to life. Let your musical side out. The reclaimed wood is carried on from the kitchen into the living room. 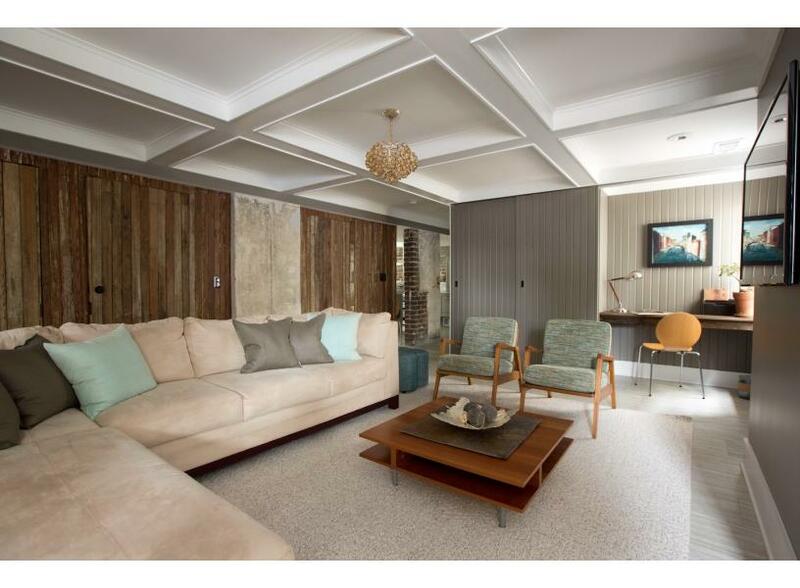 Inlaid beams and mid century chairs give flair to the space. Dont forget about the hidden Murphy bed! The warm Savannah sunlight streams through the windows. Reclaimed wooden walls and exposed brick give this home its eclectic fun atmosphere. 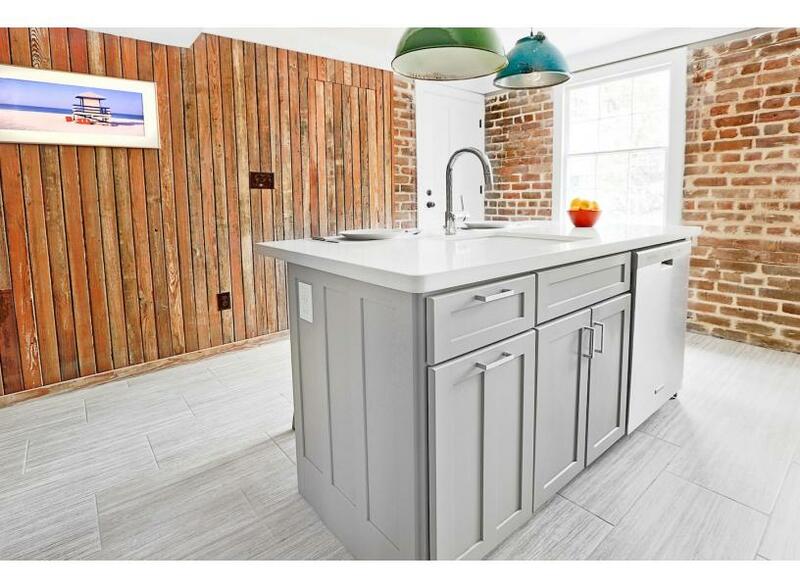 This centrally located sink makes it easy for everyone to be in the kitchen at one time. Contemporary subway tile back splash and stainless steal gas stove. The kitchen offers a large breakfast bar, with seating for two. Wooden dresser with plenty of space to unpack your things. View the flat screen television in the comfort of this queen size bed. Fluffy bedding and pillows. Sophisticated bathroom with stylish decor. 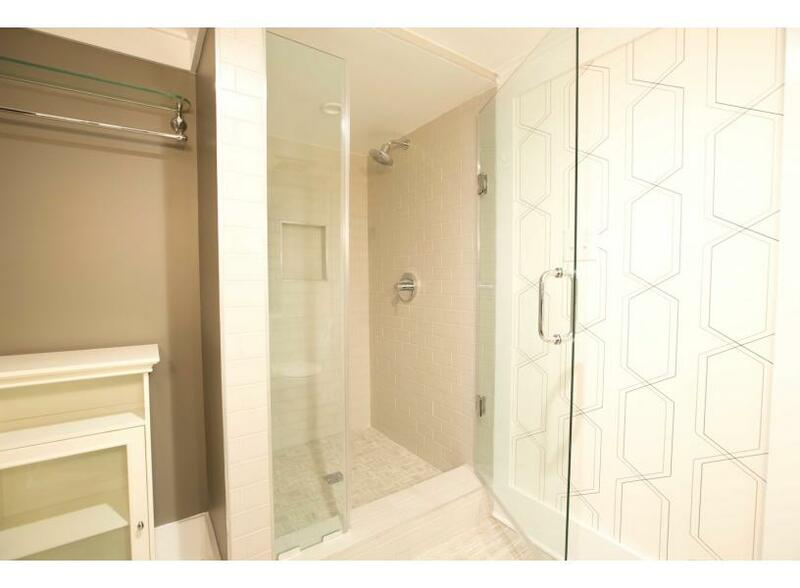 Walk-in shower with rain water shower head. A sidewalk leads the way to your garden apartment's entry. Located on the first floor of a historic home, Hall & Oaks has been redesigned and lovingly renovated by a local Savannah architect. A ton of style has been packed into this one-bedroom, one-bath garden apartment on East Hall Street, which can sleep up to four Lucky guests. You’ll be just two blocks from 700 Drayton, where you’ll find the best shrimp and grits in town, so be sure to stop in for brunch. Kroger, the only full grocery store in the Historic District, but you’ll be close enough to all of Savannah’s dining options to never need to cook! 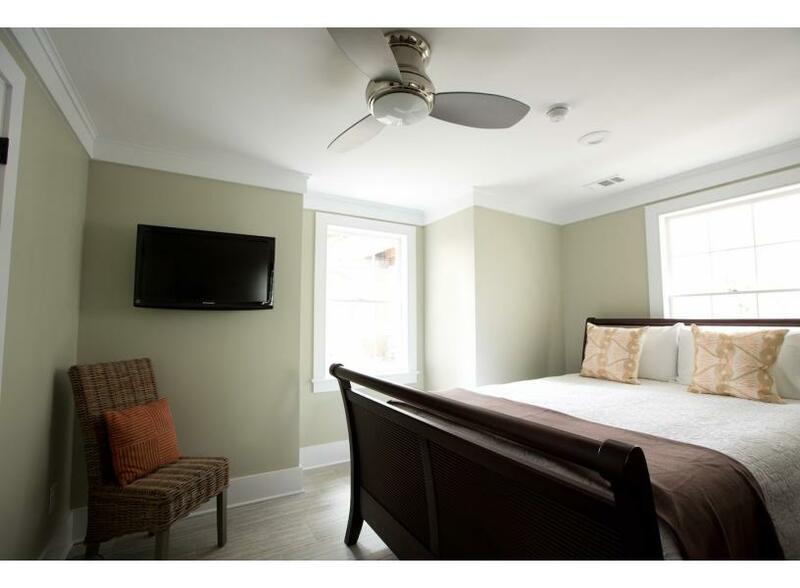 - This home has a washer and dryer, making it perfect for extended stays. 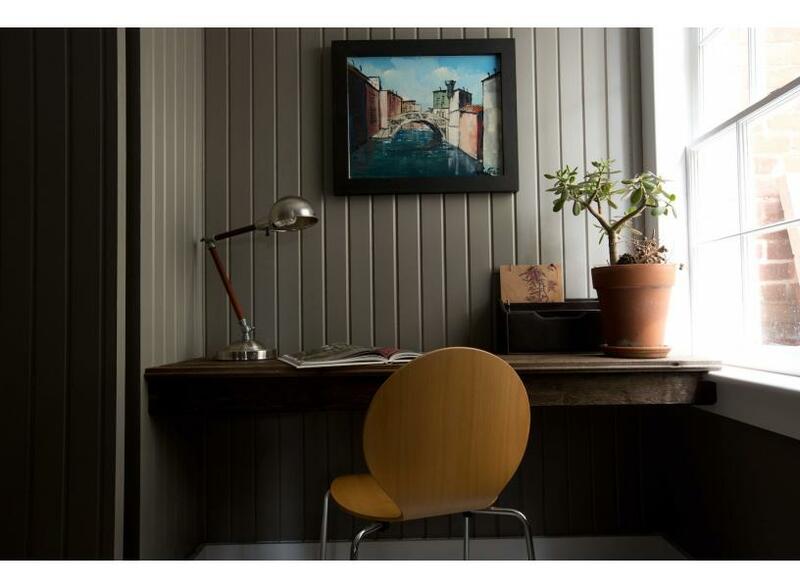 - The desk in the living room provides a comfortable spot for the digital nomad to get some work done. We found the rental very clean, comfortable and convenient. The location was terrific next to Forsyth Park and Krogers Food store. Only minor concern was the dog upstairs who did wake us up, maybe some rugs would be a good idea. We loved Savannah and the property was very nice. The dog upstairs barked a lot at night though. Hall & Oaks was perfect for our visit to Savannah. Beautiful apartment stocked with towels, toiletries etc which made packing for our get away easy. 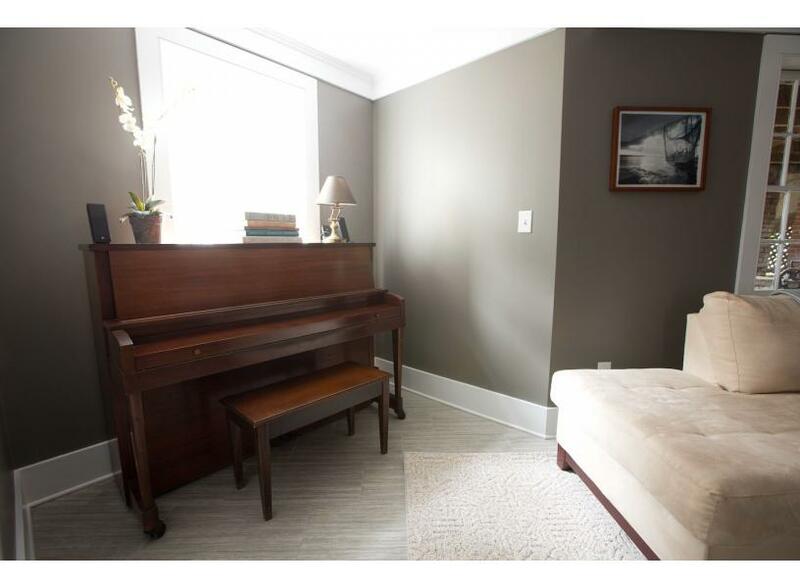 Apartment is in a great location with beautiful homes & dot transportation only blocks away. We were able to park our car for the entire stay. Super host was very friendly. Lucky Savannah was very accommodating with directions & making sure we had everything we needed to make our stay comfortable. Upon our late night arrival the code did not work, but Lucky Savannah was very prompt & friendly. We will definitely rent again. Super pleased with the whole experience! My husband and I visited Savannah for the first time for my 50th birthday. We were not exactly sure where to stay but this apartment looked like something we would enjoy. It was clean, fully stocked with everything you might need and has a Murphy bed for extra guests. There is a Kroger grocery across the parking lot but you would never know it because of the nice rod iron fence around the parking lot. You are in walking distance to everything. It was nice after a day of walking and sight seeing to come back to this quite rental and unwind. I can't say enough how satisfied we were with the rental. Checking in/out was so easy and the app gave us all the information we needed. We would definitely stay here again. It was nice. The unit is very nice inside, just like the pictures. The unit is located on the side of house, steps going down, basically the basement of the house. It seemed to be clean but when I pulled my shoe from under the coffee table it was covered with what seemed to be dog hair and dust, it was gross. The coffee maker did not work and they brought me another one the same day, but it was also not working. It must had been missing parts. Starbucks is walking distance and so is the Kroger Groceries Store. We walked everywhere and was able to park right infront of the house during our entire stay which was very convenient. We enjoyed our visit to Savannah! The Hall & Oaks rental was extremely clean, a wonderful location, and very comfortable. We were able to walk to the grocery store, Forsyth Park, a delicious coffee shop, and downtown for sightseeing. We look forward to returning to this beautiful city! Thanks again for choosing Lucky Savannah, Laura! It sounds like you got a true taste of the city. We look forward to your return! Beautiful inside & out! Everything was perfect for our 1 yr anniversary! The location was great with A lot of history & the property was amazing. Would definitely be coming back!! The place was even nicer than pictures. Everything is updated and clean. It's just 2 blocks from Forsythe park, although you'll want to take a ride to Downton or river walk. If you are a light sleeper you should bring white noise as you can hear footsteps/dog above. Check in/out was easy and electronic. Walking distance to everything! Can’t say enough great things about Hall & Oak and the great city of Savannah. We had a wonderful vacation in Savannah and our stay at Hall & Oaks topped it off! The property was comfortable and cozy with everything we needed to feel at home. We rented a car but rarely used it (except to go to Tybee Island & Hilton Head) because everything was walking distance. So convenient to have the grocery store across the parking lot! We look forward to a future visit to Savannah and will definitely stay at a Lucky Savannah property, can’t wait to try out another one! My family and I absolutely loved Hall & Oaks. The location was perfect and with an 11, 9, and one-year-old being walking distance to the grocery store was a huge plus. If you love the distressed look of a home, then this property will certainly suit your needs. However, there is a lot of exposed brick on the walls and with a one-year-old safety was a concern, but we had no injuries. The home was well maintained, and the bathroom was spacious for my family. Since the home is located in the basement, please know that there is not a lot of natural light, which I enjoy. There were plenty of linens and towels to accommodate my family. Since I have a one-year-old, my only critique/recommendation is to ensure that the floors are cleaned (mopped) as his little feet were quite dirty every day. Other than that, we enjoyed our stay! Also, the management company ensured that the check-in/out process was smooth. 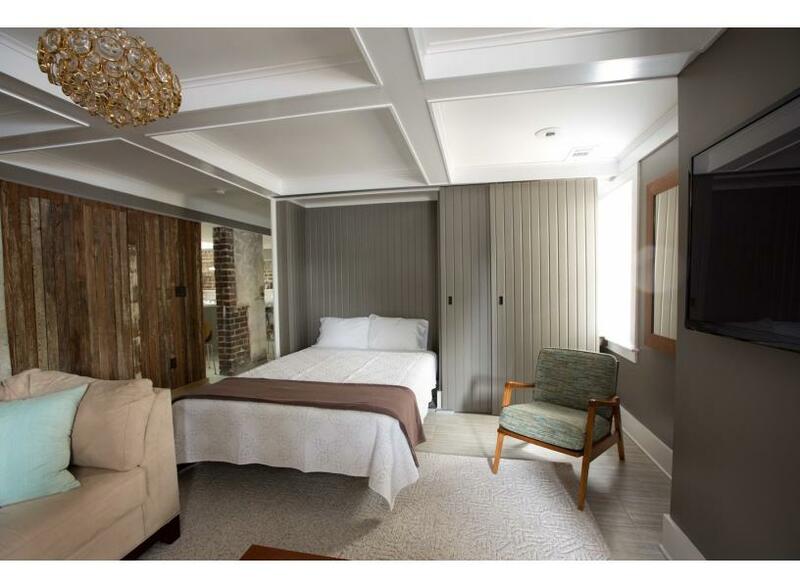 The accommodations were everything pictured and then some, Quiet, comfortable, tastefully updated. Everything is there. Grocery store across the street. Uber to the riverfront for $6.00. Forsythe park 1 minute walking distance. Very safe and quiet part of town. Parking easily found. Unit had a plethora of brochures so you could find a tour, maps of the area and restaurants. The hosts were very nice and wanted to make sure we had everything we needed to enjoy our stay. A new favorite vacation destination!! We absolutely loved our stay at Hall and Oaks! We found the rental to be exactly as pictured. It was very clean and quiet. We had a small issue that required maintenance during the week and they came right away. This quickly became one of family’s favorite vacation spots. Thank you for a wonderful week in Savannah! Hi Mandy, Thank you for choosing Lucky Savannah to assist in creating one of your family's new vacation spots! We are so glad that you enjoyed your time with us and hope to see you again very soon! This is an excellent choice for a stay in Savannah. The rental is just as advertised. The modern kitchen was clean and contained everything one would need (except a dish drainer). The living area was clean and comfortable. The bed was comfortable. The apartment was extremely quiet, which was welcome after a busy day and evening in wonderful Savannah. Communication with management was easy via email and texts. In summary, we could not have made a better choice for our 4 night stay in Savannah. Highly recommended. BTW: we loved the food at "Public", which is on Bull Street. 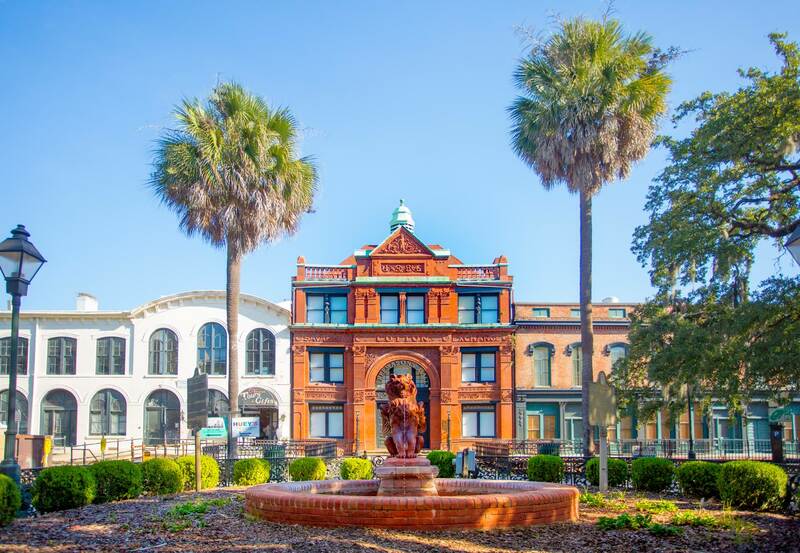 Savannah is a walking city so bring your most comfortable shoes for walking from "Hall and Oats" to Savannah's many interesting historical sights. Hi Harold! Thank you so much again for choosing to stay with us. We're so glad to hear you enjoyed Hall & Oaks and our beautiful city. Please know that you're privy to our Friends and Family discount next time you stay with us. Looking forward to hosting you again soon! This basement apartment is in a great location (2 blocks from Forsyth Park, 1 block from a neighborhood Kroger grocery) and within walking distance of most things you'll want to visit. Everything was clean, instructions for checking in/out were easy to follow, and the free parking on the street was right outside the door and always available. My only complaint is that we couldn't figure out how to turn the light off and keep the fan on. It seems to be wired wrong because one of the switches didn't do anything and the other one turned the light and fan on. If this can't be fixed, perhaps put a tabletop or box fan in the closet for those of us that need a breeze and some noise. I highly recommend this location and rental. Hi Brooke! Thank you so much again for choosing to stay with us. We're so glad to hear you enjoyed Hall & Oaks and our beautiful city. We pride ourselves on being more than a vacation rental company and will make note of your suggestions. Please know that you're privy to our Friends and Family discount next time you stay with us. Looking forward to hosting you again soon! Very good location, parking right out front, short walk to Krogers for supplies. Coffee shop at the corner. Close to the river front and downtown, we were able to leave the car and walk to all the attractions. Forsyth park is at the end of the street, we had a picnic lunch there. We were concerned because it was only 2 weeeks after the hurricane but there was not much noticible damage other than some trees down in the parks Drove 25 minutes to Tybee for a day. Hi David! Thank you so much again for choosing to stay with us. We're so glad to hear you enjoyed Hall & Oaks and its surrounding local treasures. Please know that you're privy to our Friends and Family discount next time you stay with us. Looking forward to hosting you again soon! Just what we expected. Clean, good location, no problem parking and quiet. Hi Robert! Thank you so much again for choosing to stay with us. We're so glad to hear you enjoyed Hall & Oaks for your Christmas vacation and look forward to hosting you again soon. The basement apartment was fabulous! We really enjoyed this perfect architectural home, I would love the person that put this together to come to my home! Everything was just like they said, very clean, and totally renovated. Very quite area an just a short walk to the trolley and Kroger. Safe area and we will stay there again when we visit Savannah. Hi Janet! Thank you so much again for choosing to stay with us. We're so glad to hear you enjoyed Hall & Oaks and look forward to hosting you again soon. Thank you for staying with us, Carol! pillow cases for the Murphy bed. Even though they advertise sleeps 4 there wasn't any bedding for extra bed. I understand the reasoning behind that to a point but it was something of an inconvenience for myself. Again,not considered an emergency I couldn't pick up the phone after midnight to have them bring me sheets. But overall this place is in a safe area, had parking every day out front and you slept like a baby. No one bothered you. To add to your trip there's a great little coffee shop at the end of the street you can hang out, have a pastry with your coffee and enjoy the beautiful sites in Savannah. ?? Hi Lourdes! Thank you for staying at Hall & Oaks for your daughter's birthday. We do apologize for the soap oversight. Please know that while not an emergency, we would've gladly responded to your call and provided linens for the murphey bed had we known about it. Thank you for the constructive feedback and please know that you're privy to our Return Guest Discount next time you stay with us. It was an absolutely wonderful experience. While the condo looks great in pictures, the pictures actually do not do the condo justice. It is a beautiful space designed with every detail in mind. Fully stocked kitchen and large living room with plenty of comfortable seating for all guests. We did use the murphy bed during our stay and it was very comfortable (which I was not expecting from a murphy bed). 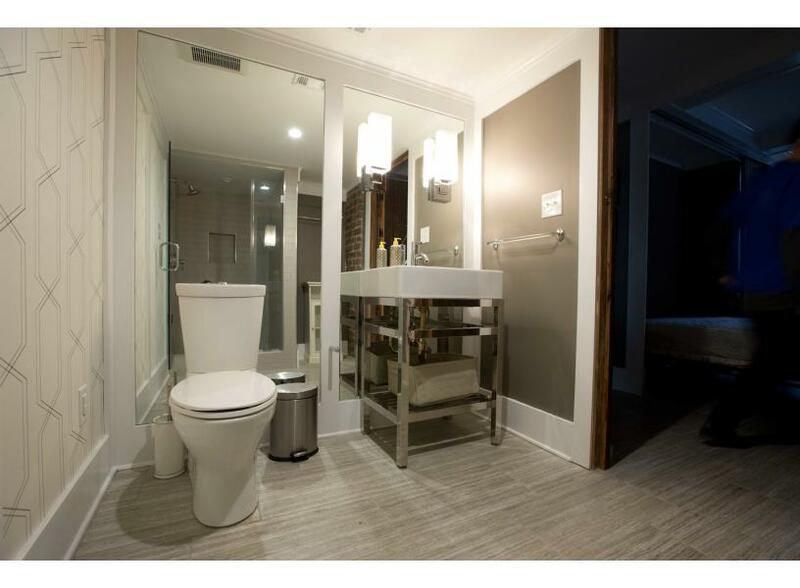 The bathroom is very spacious and updated. It is in a very beautiful and quite neighborhood with a Kroger 1 block away. My one word of advice, this property is about 1.2 miles from River street and about 1 mile from Liberty St. If you are looking to spend a lot of time viewing the shops/restaurants on these streets, you will walk a ways to get there. Great news is.. it's a lovely walk that takes you through Forsyth Park and through several of Savannah's squares and the historic district. We absolutely did not mind the walk. Something to keep in mind though if you aren't interested in getting a lot of steps in on vacation :) I racked up about 25,000 every day and loved it! Overall, cannot recommend this condo enough! Hi Danielle! We're so happy to hear that you enjoyed your time at Hall & Oaks. Looking forward to hosting you again soon! It was easy. Lucky Savanah was always there when we had questions. The place was clean, cool (temp) and comfortable and quiet. A bit of a walk to downtown especially in the heat but a quick ride by car. Thanks again for booking with Lucky Savannah, Eric! We're so glad to hear that our staff was readily available to your needs. Unique place to stay. Nice bedroom. Also liked the other bed that was hidden. Clean. Had everything we needed. Would stay there again. Thanks again for booking with Lucky Savannah, Kelly! We look forward to hosting you again soon. Hi Marlene! Thanks again for booking with Lucky Savannah. We pride ourselves on our property photos and are so happy to hear that Hall & Oaks exceeded your expectations. See you again soon! We definitely recommend the Hall & Oaks to anyone new to Savannah! Although it was more than a walking distance to the downtown area, parking throughout Savannah is quite easy and we always found a parking spot (plus after 5pm it's free!!). No problem parking on the street in front of the house either at any point during our stay. Within walking distance was the Kroger (literally right in front of the house- the map makes it look further), Forsythe Park and a little unique coffee shop! Thanks again for booking with Lucky Savannah for your honeymoon, Lindsey! We look forward to hosting you again soon. Loved this place! Exactly as described and pictured, if not better. It's located across the street from a Kroger's and a Dollar Tree while still being in the historic district. If there had to be a downside, it would be the street parking but it wasn't a problem for us. Would definitely stay here again!!! Gerri, thank you again for choosing Lucky Savannah! We're so happy to hear you call this home a "gem" and look forward to hosting you again soon. Traveled to Savannah with the family. Hall & Oaks right down the street from Forsyth Park, in a beautiful neighborhood, and close to a great corner bakery. Sleeping setup, with the main bedroom and a Murphy bed in the living room, was perfect. There were covered areas in the backyard where we could tie up the bicycles at night. Kitchen was great, although could have used seats/eating space for 2 more people. On-street parking was easy. Nathaniel, thank you for choosing Lucky Savannah! It sounds like Hall & Oaks was the perfect fit for your family. We look forward to hosting you again soon! I arrived and was pleasantly surprised at this cozy apartment. 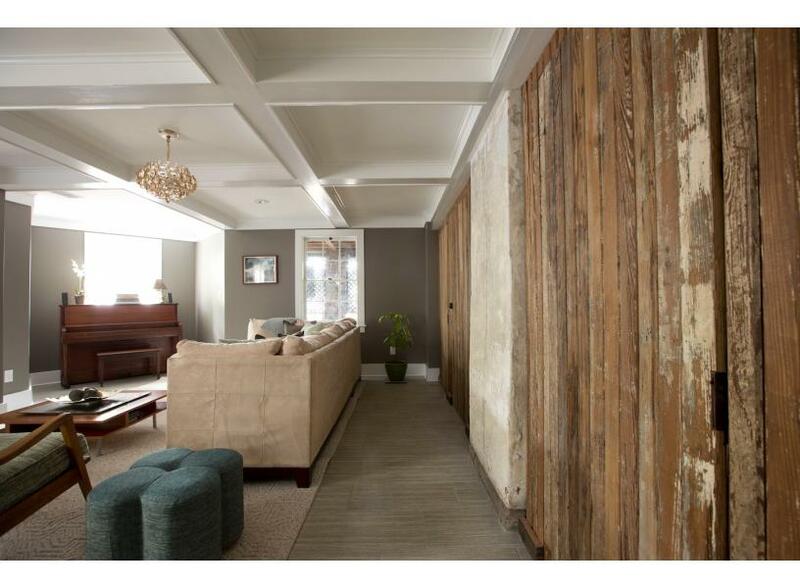 The reclaimed wood wall with hidden doors and all the details that went into creating this apartment certainly makes it feel like a cozy respite after a long day at work- I even cooked and enjoyed dinner with some colleagues - I will return - thank you for sharing your home! The Hall and Oaks property was the perfect spot to stay during our visit to Savannah for the Publix Women's Half Marathon. Location was perfect walking distance from everything including shopping, tours, grocery store, and restaurants. The unit itself had everything we needed for our stay. The efficiency of the rental process made this the perfect solution for our rental needs! Thanks for a great experience. Our out-of-the cold North to a warm South was delightful. 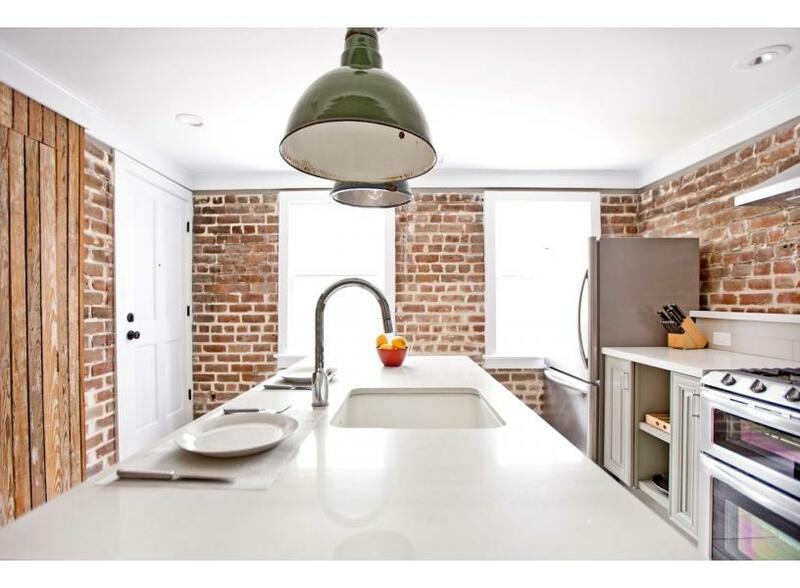 The Hall & Oaks apartment is cozy, clean, rusty and modern, and provided the perfect place to enjoy all the sights and eateries in Savannah. Lucky Savannah was very helpful and provided answers to all our questions - thank you. Our favorite breakfast place was Goose Feathers, favorite gourmet food place The Old Pink House, and favorite local food place Mrs. Wilkes. Savannah provides too many historic sights to list our favorites. Georgia in February did provide the warmth we were looking for compared to our Ohio temperatures! Thanks! O-H-I-O, Go Bucks! Great location. Private residence. Clean. Love the park that was close by and how easy it was to catch the trolley. Experience was great, close to River Street but far enough away for piece and quiet. It is a great apartment in a great location very close to Forsyth Park and right across from Kroger supemarket. Only a couple of details that could be better are that there is not even a proper broom and the handheld vacuum cleaner is very hard to use (plus the canister had not been emptied). We rented Hall and Oaks for our trip to Savannah last week. Lucky Savannah was a pleasure to deal with and the property was beautiful. I loved the clean lines and the exposed brick. 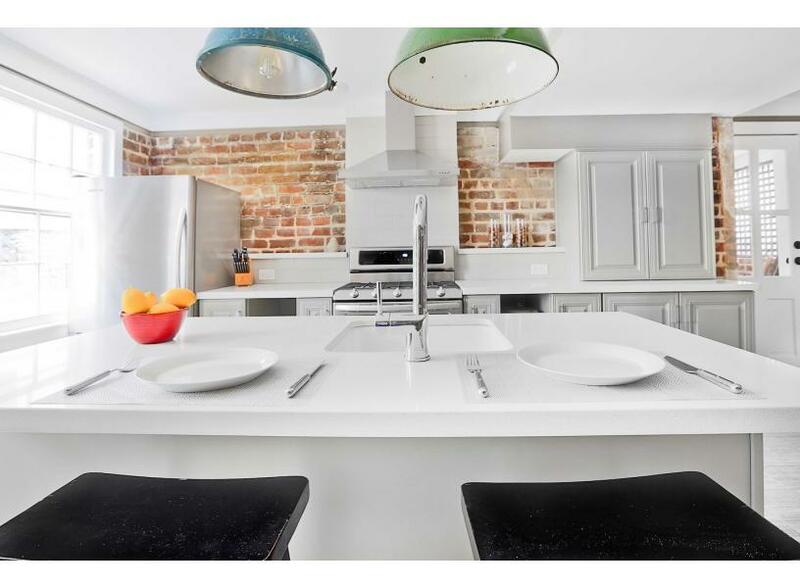 The kitchen was awesome and very nicely equipped.The neighborhood is only 2 blocks from Forsyth Park and we enjoyed spending time there watching Savannah life. My only complaint about the location is the distance from the river and the more touristy spots downtown. We ended up using our car more than we wanted but not everyone would have this problem. Still we did enjoy living like a local and experiencing this lovely area. I would recommend Lucky Savannah and this great apartment anytime. The rental property itself lived up to our expectations. Lucky Savannah made the process almost effortless. The private/independent entrance/exit to the apartment was so nice. I loved not having to have a key - the digital code added freedom. The neighborhood is wonderful. Unit is clean & so tastefully decorated and furnished. Perfect stay/perfect accommodation. Our stay at Hall & Oaks was very relaxing. We were in Savannah for a wedding and to enjoy Tybee Island but with this home being so comfortable we wanted to stay in more than anything else. Very nicely remodeled, would definitely recommend to friends. This was an incredible place to stay in Savannah. It was in the perfect location, 2 blocks from Forsythe park and there is always parking on the street. That's usually a difficult feat while in Savannah. The place was so clean and so cozy. The backyard was amazing as well. The beds were extremely comfortable and I really didn't want to leave. I wish I could have packed up the place and taken it home!! The kitchen is beyond any place I've ever stayed, it's better than my kitchen at home. Thank you for making this an amazing property to stay in. I will recommend it to anyone traveling to Savannah!! Thank you for choosing to stay with Lucky Savannah! Hall & Oaks is in a great location, and so convenient to many things! We are so happy to hear you enjoyed the location, home, and all the great amenities that come along with the home. We hope to have you as our guests again in the near future! This was a great home! 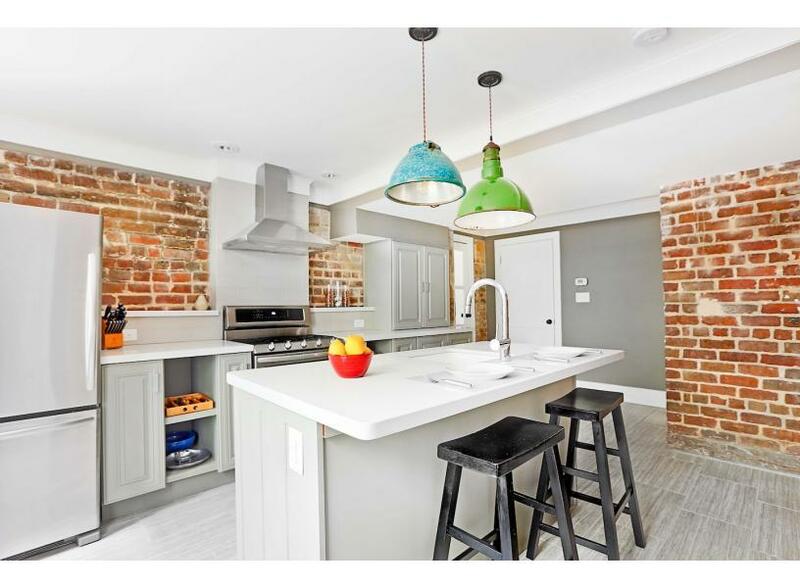 Wonderful location, beautifully decorated with an awesome kitchen. The homeowner was gracious and we had everything we needed for a lovely few days. We would happily request to stay at this property again. My husband and I visit our daughter who is a SCAD student at least four times a year so we've now stayed in at least 12 VRBOs and this one is our favorite! Fabulously stylish interior, great location and spotlessly clean plus the first gas stove we've seen. Added bonus was the upstair neighbor's friendly cat. I do wish LuckySavannah appointed their kitchens with more supplies (no salt and pepper, etc) and the bedroom could use some bedside lamps (I almost ran out to Target to buy a couple!) but we will definitely try to book this great space again. Thanks! Thank you for choosing Lucky Savannah! We thank you for brining these things to our attention! We are glad to hear you loved the home, and we hope to have you as our guests again! We had a wonderful stay at Hall and Oats. It truly is the perfect place to stay while visiting Savannah. The flat is very beautiful with wood, brick and concrete details. I have already recommended Hall and Oats to family and friends. Thank you for choosing to stay at Hall & Oaks! We are so thrilled you all found this home to be a "perfect" place to stay. We thank you for recommending Hall & Oaks to your friends and family as well. Please let them know we offer a 10% "Friends and Family" discount! I stayed at Hall and Oaks for SCAD Parents weekend. 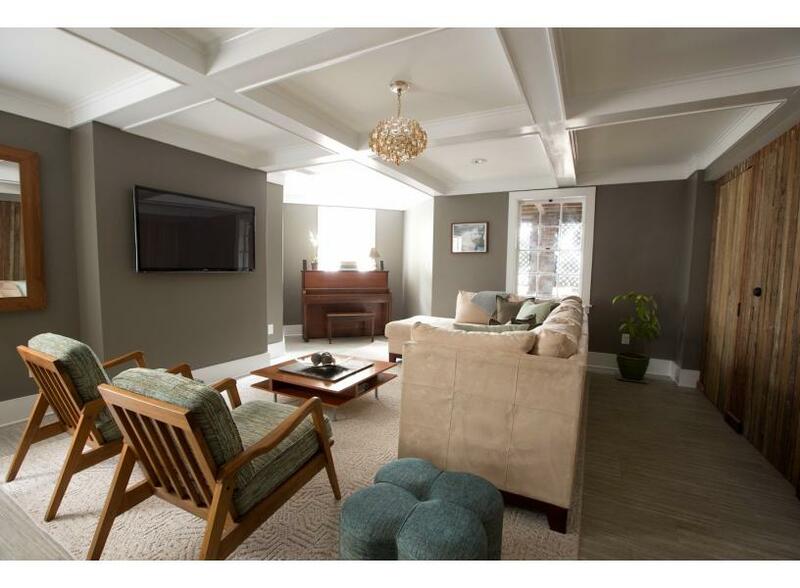 This basement apartment is absolutely beautiful and very comfortable. The bed was very comfortable too! I was afraid it would be dark but it does get a lot of natural light. The location is walking distance to Forsyth Park and Kroger. I would stay here again and would recommend it to anyone visiting Savannah! Thank you for choosing to stay with Lucky Savannah! Hall and Oaks is a beautiful garden apartment indeed. We are thrilled to hear you all found the place to have tons of natural light! This home is in a fantastic location, making walking a breeze. We can't wait to have you all again, and we thank you for recommending Hall and Oaks! Thank you for choosing to stay with Lucky Savannah! We are pleased to hear you all enjoyed your stay at the Hall & Oaks. We hope to have you all as our guests again in the near future. Please, don't forget about our 10% "Returning Guest" discount! Hall and Oaks is super convenient. We loved being able to walk to Forsyth Park and downtown Savannah including river walk and historic sites, Having the Dot bus (free) as well as the tour trolley stops nearby was a plus. Kroger is conveniently located so it was easy to get food /supplies. We also enjoyed the bakery in the next block. This basement apartment is beautifully well done with lots of lighting to supplement the few window lights. We loved sharing the garden space. Having a washer dryer was an added bonus. We would defiantly come back and stay again. Thank you for choosing to stay with Lucky Savannah! Hall & Oaks is indeed in a very convenient location, within walking distance to many great attractions. We are thrilled to hear you all enjoyed the apartment, and the amount of light it provided even being a garden level! We hope you all decide to come back in the near future. Don't forget about our 10% "Returning Guest" discount! Stayed three nights. This was a great place to stay. Good location, neat and clean, and only a block away from a grocery store. Parking was easy. It would have been nice if the portal would have mentioned which door to use. Did not have to deal with management while there. Would stay again! The apartment was gorgeous & beautifully appointed. Exactly what we wanted. Savannah is a lovely city, I would recommend a visit to anyone. Thank you for choosing to stay with Lucky Savannah! We are so glad you all found Hall & Oaks to be well appointed and exactly what you wanted. This home is located only one block from the city's largest green space, and many other attractions for all to enjoy! We thank you for recommending Savannah, and hope to see you all again soon. Overall one of the best VRBO experiences I've had out of many. Booking was simple and quick. The apartment was clean, very well appointed and a perfect space my wife and I. It was located right near Forsyth park which is like a central hub of activity which was nice. Downtown was about a mile away which was perfect to walk so long as you gave yourself some time or you could easily drive in and parking whether on street or in one of the lots was perfectly fine and low cost. Overall, when we return I'd have no problem going through Lucky Savannah again. Thank you for choosing to stay with Lucky Savannah! Our staff tries their best to make the booking process enjoyable and as easy as possible. We are thrilled to hear you all found the apartment to be well appointed, and enjoyed your stay! We can't wait to have you all again soon in the future. Please don't forget about our 10% "Returning Guest" discount. Very nice basement/garden apartment. Beautifully renovated, very spacious, clean, quiet, and relaxing. Management company was very polite and accommodating. 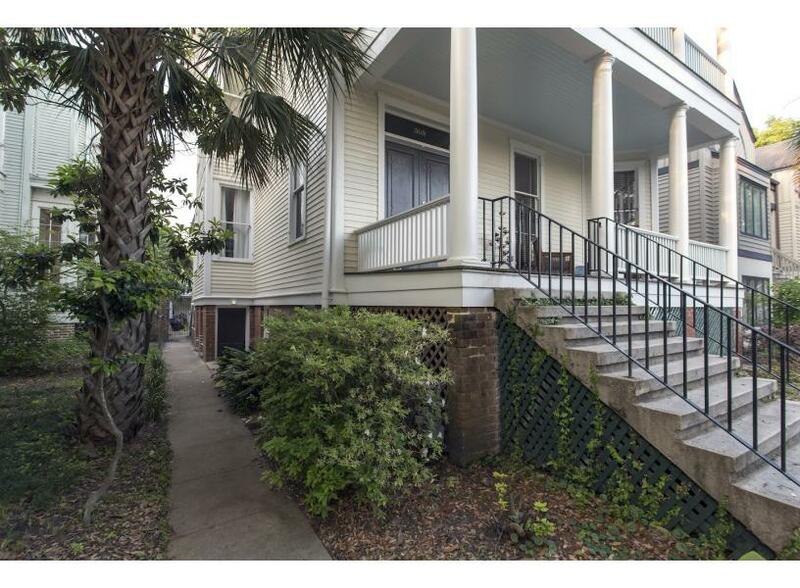 Very close to Forsyth Park and convenient to all attractions. Little need to drive from this location. Great coffee shop down the street and a grocery store on the other side of the park out front. We would stay there again. I was very happy with the rental property as soon as I walked in. The appliances, decor, sleeping accommodations, and convince to everything was great. I really didn't expect all this for a very reasonable price. This a place that I could see myself owning. All I can say is this was top notch. The grocery store was close enough to walk to. We could walk to the park and down town. We didn't have to drive very much at all. Tybee Island was just a short drive away. My wife, son, and I absolutely loved our stay. Beautiful, first rate accomodations! Perfect! This garden apartment is absolutely gorgeous and very comfortable!! The kitchen with all the up to date appliances made cooking effortless! All beds very comfortable! Very clean upon arrival and we were very close to Forsyth Park and the grocery store! We enjoyed the Jazz Festival in Forsyth Park for 3 days! Lots of fun!! Location was convenient but very difficult to find at night. We had quite a struggle locating property. Renovation very nicely done! Couch needs to be replaced. (Soiled) and there was a dead roach in living room floor that had been there for some time. Otherwise a very nice property.